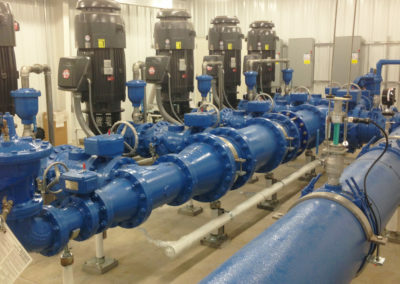 Crawford, Murphy & Tilly (CMT) helped the Northeast Public Sewer District (NPSD) achieve regionalization, consolidation of flows and elimination of several small, decentralized treatment facilities that were very labor-intensive and costly to operate. 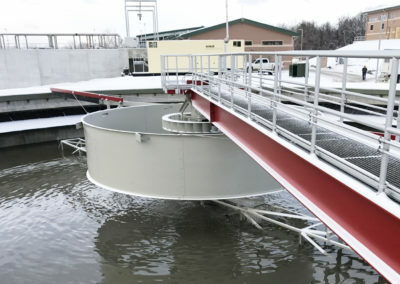 The small wastewater treatment plants would have required significant capital improvements to meet future regulations. The first step was the construction of a new 5 MGD regional wastewater treatment plant. The plant features a multi-channel oxidation ditch with biological nutrient reduction (BNR) capabilities. CMT’s design supported higher loading, resulting in a smaller footprint and a savings of $1.5 million on the $11.5 million project. The plant improvements also featured new clarifiers, RAS/WAS pumping, UV disinfection, SCADA system, a new laboratory and operations office. 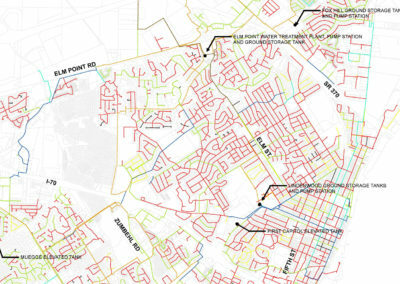 With the treatment capacity in place, CMT followed up with a Comprehensive Facility Plan that outlined multiple, prioritized projects that would extend new collector sewer mains in established residential and commercial areas to eliminate nine small WWTPs and seven lift stations, bringing all the flow by gravity to the regional plant. CMT designed the initial projects and secured a $12 million State Revolving Fund (SRF) loan to fund the work, including nearly 50,000 lineal feet of new 8-inch to 21-inch sewer, cured-in-place-pipe (CIPP) rehabilitation of 6,400 lineal feet of 24-inch sewer, and full polymeric lining rehabilitation of 28 manholes. An added benefit of the project was elimination of a significant amount of infiltration and inflow.